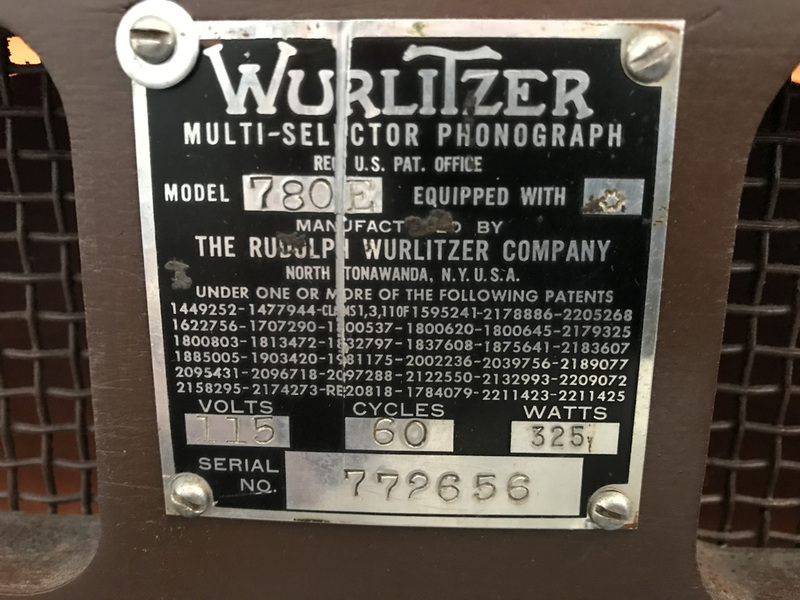 Wurlitzer 780 E Jukebox | Fun! 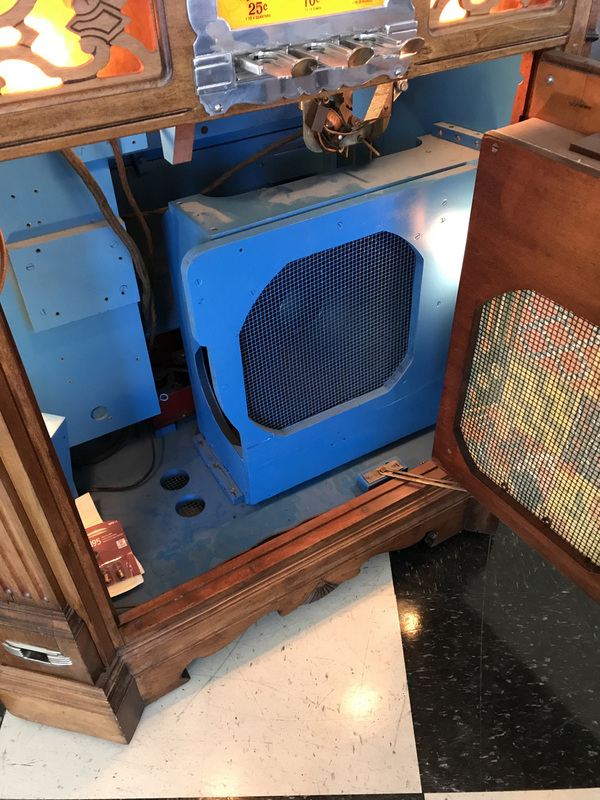 Here is a classic jukebox from yesterday. 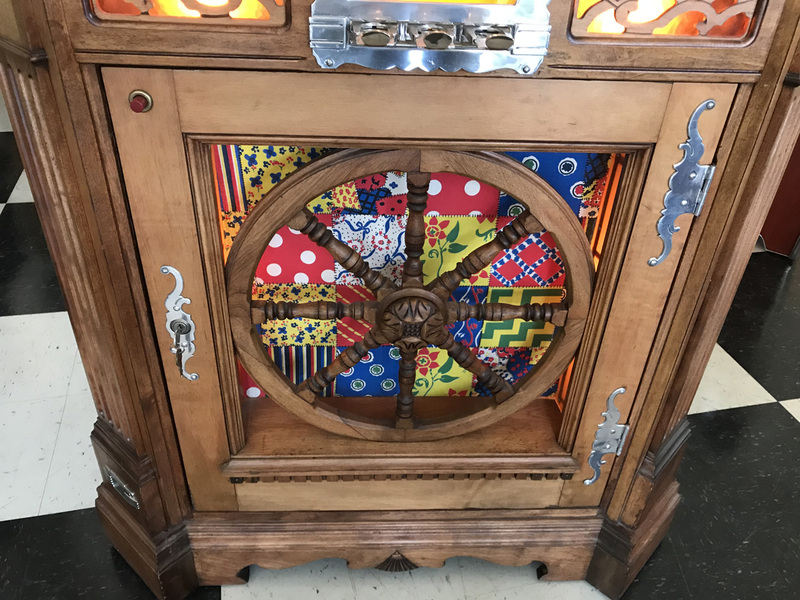 This classic Wurlitzer Model 780 E Jukebox, aka “Wagon Wheel” Jukebox was introduced in 1941. 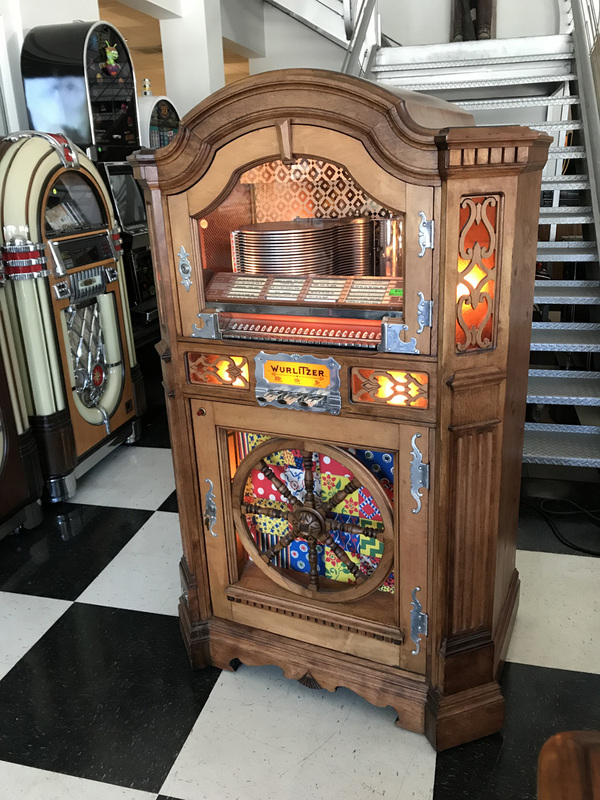 This fantastic example of this jukebox comes to us on consignment from a local collector. 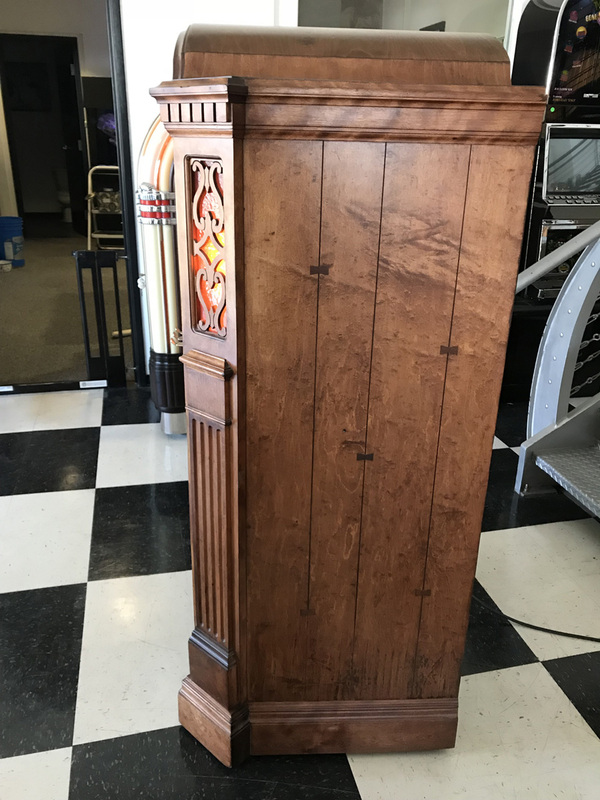 It was professionally restored several years back and looks and sounds amazing. 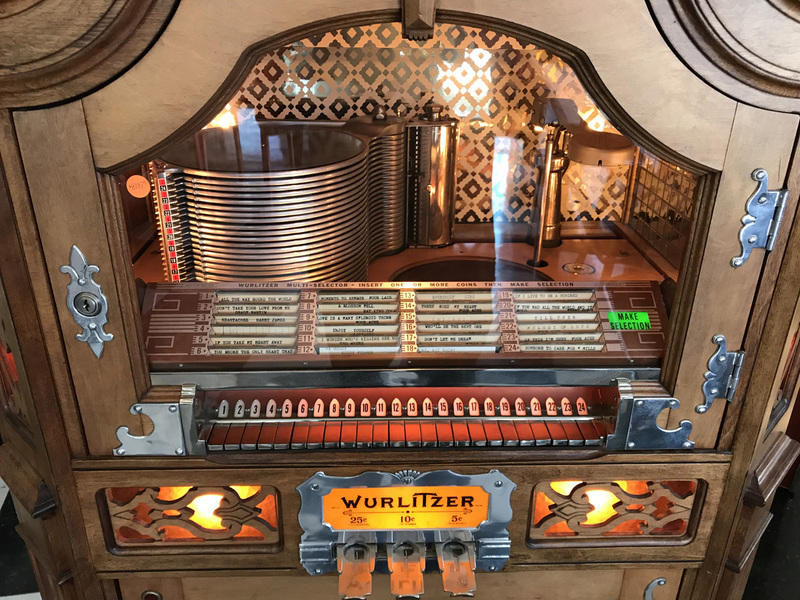 The Wurlitzer 780 E is a 24 Selection Jukebox that plays 78 rpm records and includes a full set of records. Like so many jukeboxes of this era, it is missing the coin gear, so it is free play only. 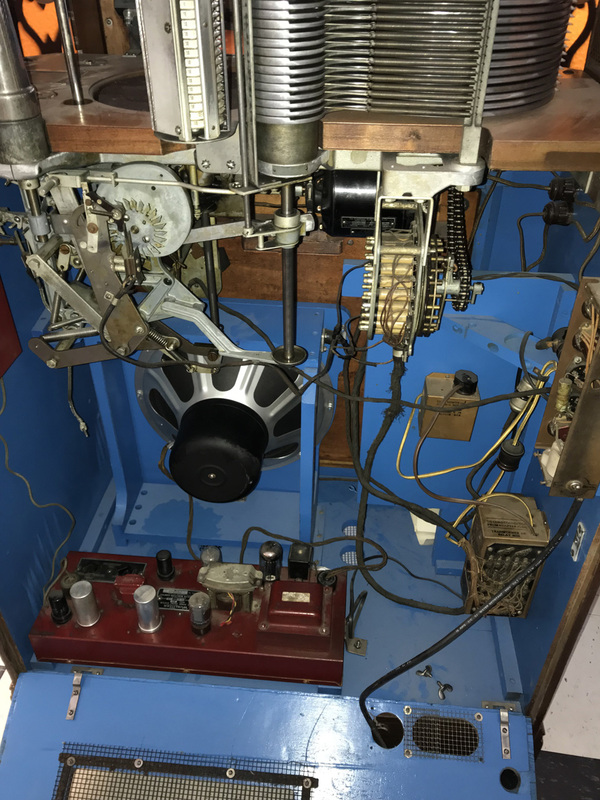 Jukebox operators years ago would remove the coin accepting parts from jukebox so that they could no longer be operated commercially, thus reducing competition. 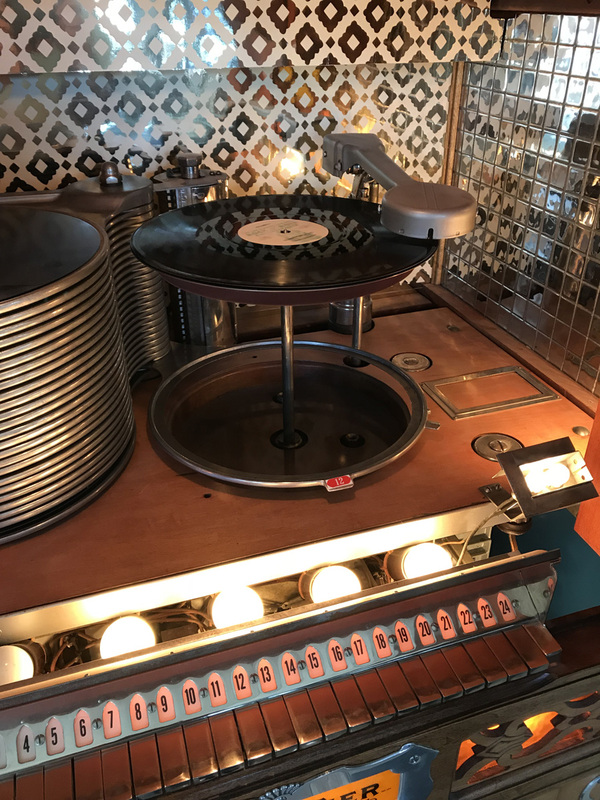 Simply press your selection and watch the jukebox pick the record up and move it to the turntable and play. 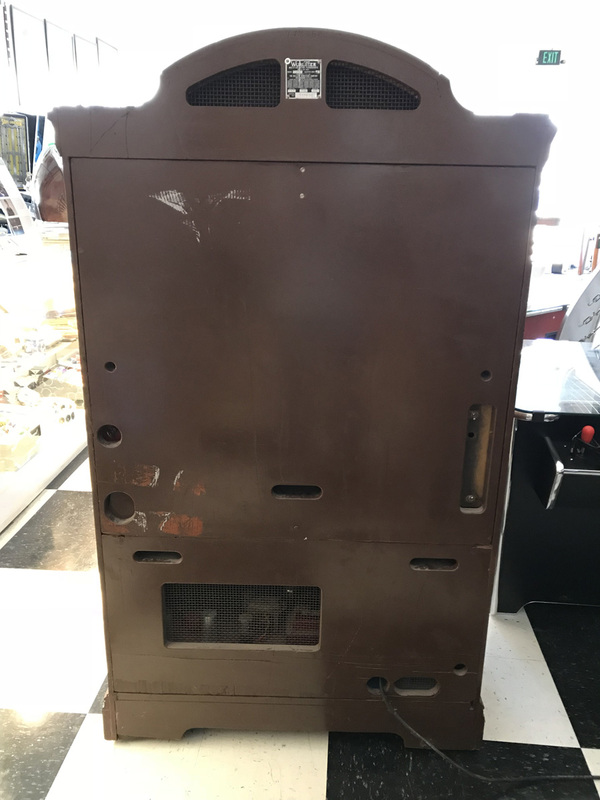 We have just had this jukebox cleaned/adjusted by one of our local jukebox experts and it he has given it a clean bill of health. It is now ready to be enjoyed in your home. 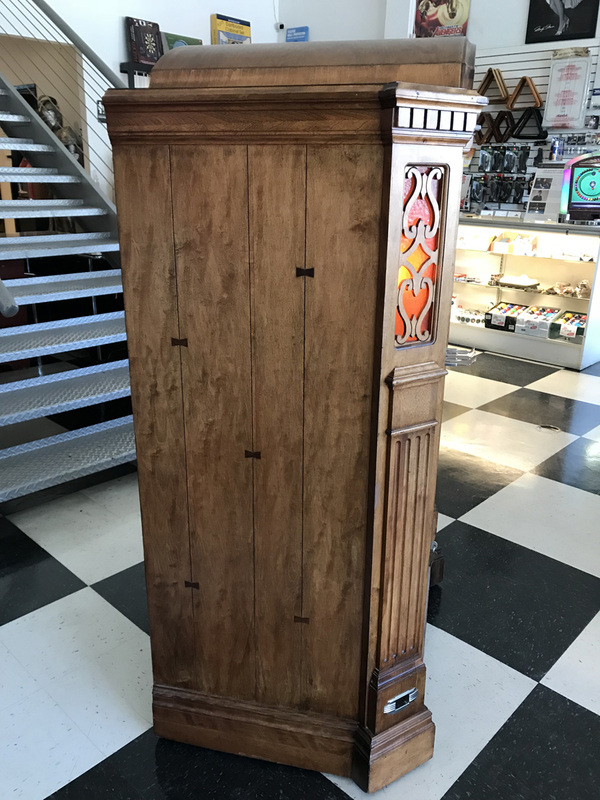 What a great conversation piece and focal point of your gameroom.